Oregon's attorney general said GNC sold dietary supplements spiked with banned substances. State AG Ellen Rosenblum filed a lawsuit against the nutrition store on Thursday. It alleges GNC knowingly sold products containing an "amphetamine-like" substance that isn't approved for diet pills in the U.S. -- and left it off the label. The complaint also claims some GNC (GNC) supplements contained an illegal synthetic chemical that's used to treat neurological disorders in some countries. "It is scary to know that certain products sold by GNC contain an ingredient that is not even labeled -- let alone approved in the United States," Rosenblum said in a statement. The Oregon Department of Justice said the lawsuit follows an investigation aided by the FDA. GNC denied the claims and said it will "vigorously defend against these allegations." The company also said when the FDA banned the substances, "GNC promptly took action to remove from sale all products containing those ingredients," it said in a statement Thursday. Its stock plunged more than 14% Thursday after a brief trading halt ahead of the company response to the lawsuit. The supplement industry has been under heavy scrutiny recently. New York's AG went after GNC in February, demanding the company -- along with Target (TGT), Walmart (WMT) and Walgreens (WBA) -- stop selling herbal supplements that don't contain herbs. 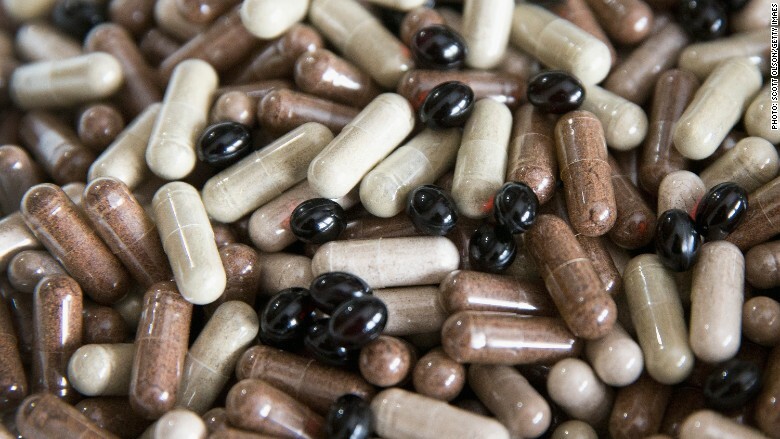 In March, GNC agreed to boost quality control and testing of herbal supplements.